92% of all customer interactions happen over the phone, making it a great way to speak with potential leads–especially considering just 24% of sales emails are opened. But just like the majority of marketing tactics, you can’t sit around and wait for leads to blow up your phone line. You’ll need to make a plan-of-action that actually drives inbound sales calls for your reps to close. That’s not an easy task to conquer, though. A phone call often requires more commitment than an email or social media message, so you’ll need to try harder to convince potential customers to schedule time in their day to pick up the phone. We thought it’d be fun to learn of the best ways to increase the number of inbound sales calls your business gets. So, we asked 26 sales experts to share their tips. 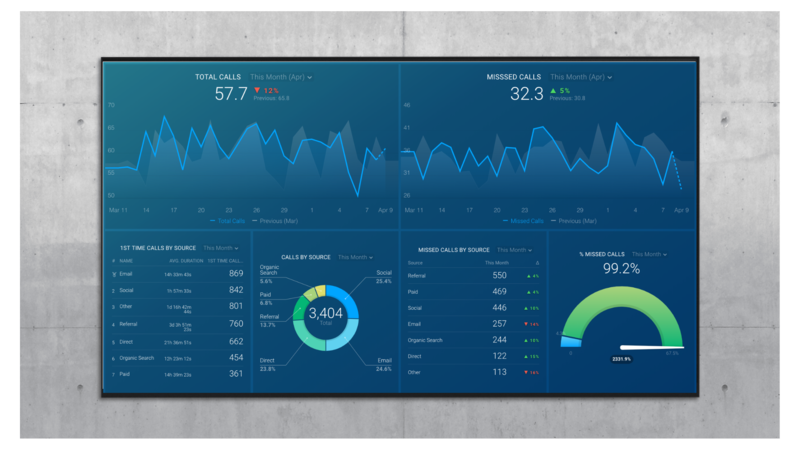 *Editor’s note: CallRail users can download this free template to track and visualize all of their inbound call prospecting, including which sources are driving the most inbound phone calls. “It seems simple, but a shocking number of businesses make people dig around to find a phone number,” explains Big Sea‘s Maria Mora. 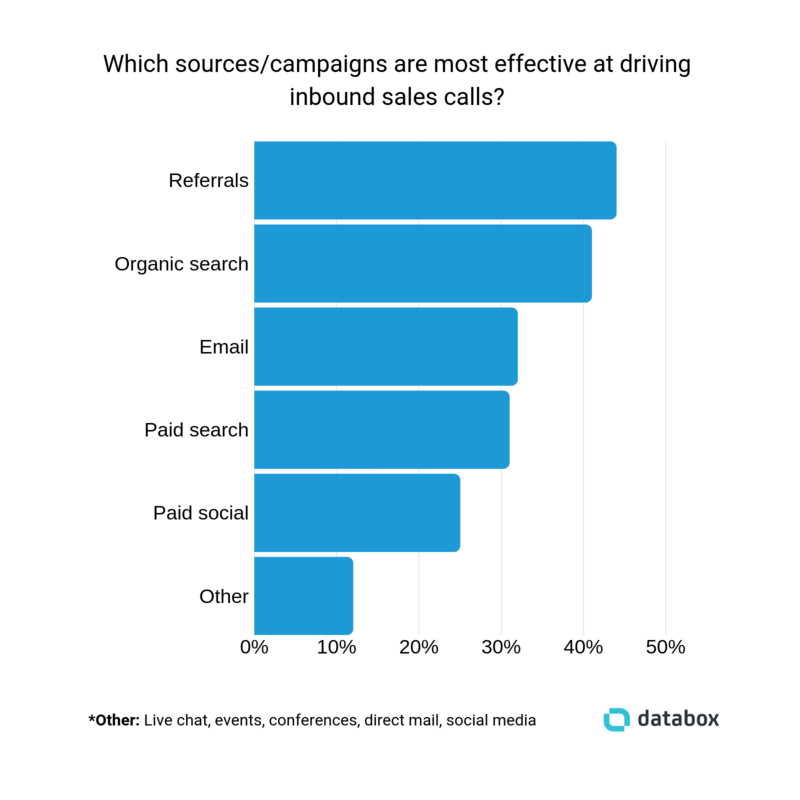 In a nutshell: You can’t drive more inbound sales calls if people don’t know how to contact you. Research has found the most successful sales calls take place between 4pm and 5pm. But if you’re targeting customers all over the country (or even the world! ), make it easy for them to call you by expanding “the hours of coverage for the phone number on your website,” says Jeanne Hopkins of Lola.com. You could do this by simply stating your opening hours for each time zone your customers live in, or linking to a time zone converter for your customers to check themselves. “I highly recommend that sales teams invest (and, it’s a very cheap investment) in both local and toll-free numbers to call in,” explains Nextiva‘s Yaniv Masjedi. No matter who your buyer personas describe, there’s a high chance they’ll fall into one of the two categories Yaniv mentions. But using both local and toll-free numbers is “a minimal investment in an easily re-routable number”, he says. You likely already have a handful of calls to action on your landing page. Regardless of what you’re offering, Casey recommends giving people a reason to pick up the phone. 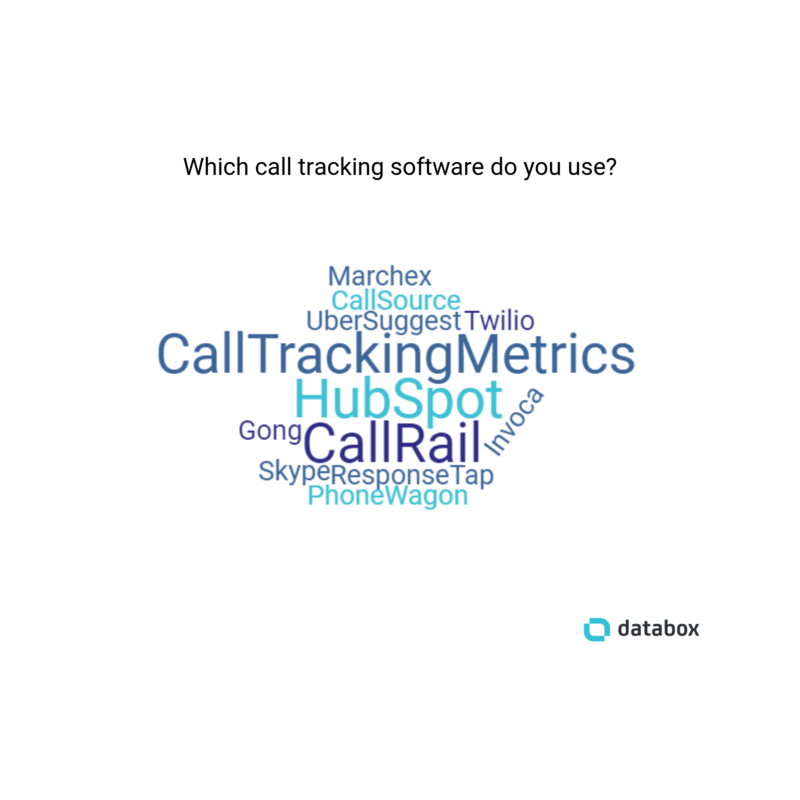 When we surveyed sales experts, we asked which call tracking software they’re using to manage inbound sales calls. “An automated message was sent to a new user right after he/she registered. We asked him/her in a survey about the goals they want to achieve with our tool. “People actually did show up on the majority of calls. Over the span of 3 months, approximately 80% of all scheduled calls resulted in the demo itself,” Tom says. 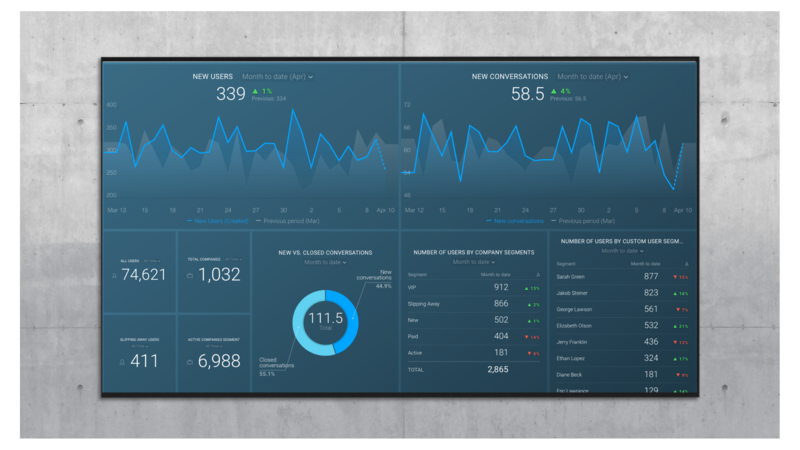 *Editor’s note: Download this free Intercom template and see how effective your messages are in engaging visitors or users, which members of your team are engaging visitors the most, and more. The buying journey is the typical process people flow through before becoming a customer. “Consider the awareness, consideration, and decision states of your buyer’s journey and determine what your potential buyers need throughout each step,” he explains. Can you spot where customers are most likely to pick up the phone to chat with your sales team? Think about the webpages they’re visiting throughout the “connect” or “explore” stage, and push them towards a sales call using the content on that page. A huge part of understanding your customers is getting to grips with their pain points. These challenges are something they’re struggling with, that your product or service can help to resolve. “One way to increase your inbound sales calls that we use is to ensure our online persona matches what our customers are looking for,” explains Corey Dugas of Momentum Canada. 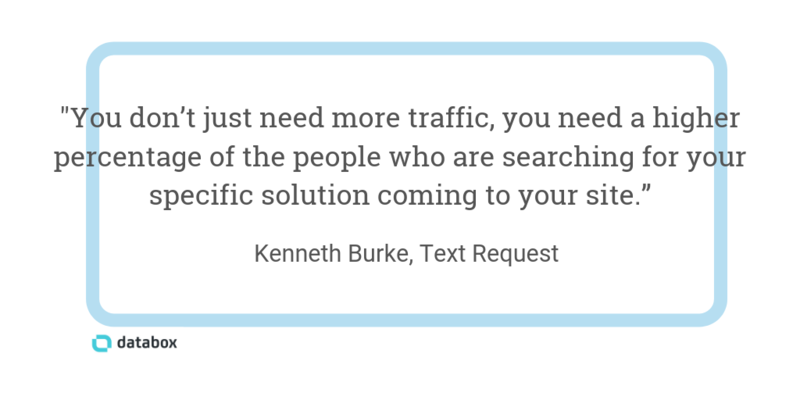 Remember: People picking up the phone to chat with you are likely close to converting. They want their pain points to be eased in the near future. The simplest (and most effective) way to do that is to aggravate their pain points and direct them to a phone call to help solve it. “If your marketing is attracting the right people, they’ll call. 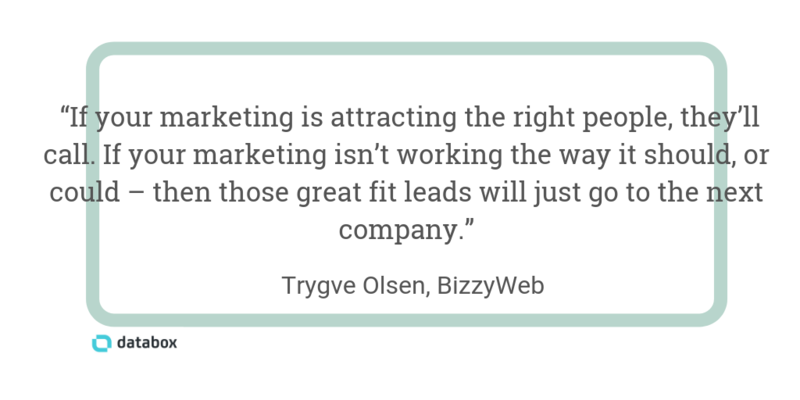 If your marketing isn’t working the way it should, or could – then those great fit leads will just go to the next company,” explains Trygve Olsen of BizzyWeb. …But how do you attract the “right” people? Think about it: If you’re only relying on one channel to encourage inbound calls, it’s easy for people to turn a blind eye. Still not convinced? Consider this: Just 14% of organizations say they are currently running coordinated marketing campaigns across all channels. If you’re able to pip them to the post with messages that reach customers through a variety of channels, you’re bound to beat your competition to the inbound call. “Publishing content relevant to your niche online is a great way to drive traffic and find high-intent leads, says True Recovery‘s Milad Hassibi. …That’s how you encourage more inbound calls. “The most effective way that we’ve increased inbound sales calls at Online Optimism is through paid search,” says Patrick Rafferty. Fancy taking Patrick’s tip a step further? Then, the main call-to-action of your new Google Ads campaign will be click-to-call–allowing you to catch the 88% of local searchers who call or visit the business within 24 hours. Happy customers are a business’ best asset. 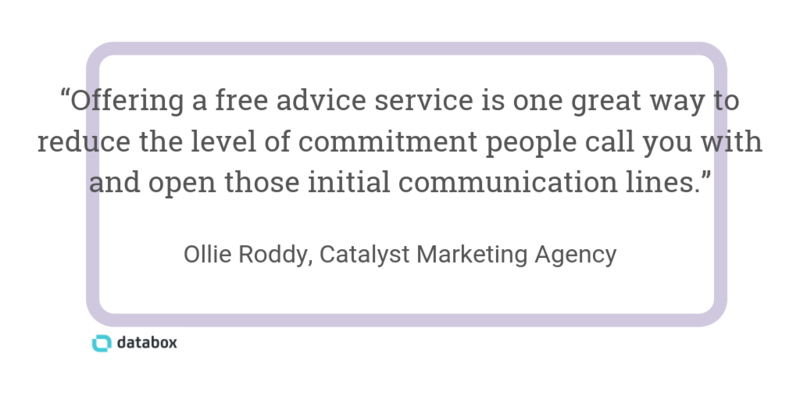 Not just because they drive revenue, but happy customers tend to spread the word to nine of their friends–making it a great source of new leads. “Today’s marketers have gone gangbusters on digital marketing and so everyone’s inbox is flooded with promotions,” says Derek Marin of Simple Selling. Take a look at your inbox to see this in-practice. Chances are, you have hundreds of promotions delivered to your inbox every week. …via traditional mail, making sure you’ve included your contact number on the item you’re delivering. That’s bound to help to multiply the number of inbound sales calls you’re getting from potential customers. Sales Development Representatives have a job to bring more leads into your company’s sales pipeline. That’s a great way to catch (and please) the 82% of consumers who look for an immediate response from brands on marketing or sales questions. “Plus, by giving sales only qualified calls on their calendar, you enable them to focus on their main job of selling,” Eric summarizes. After using the techniques we’ve mentioned here, you should see a steady stream of inbound calls making their way to your sales team. Don’t let your hard work go to waste by failing to convert them. That’s always the sign of a successful sales rep. Confused as to why we’re recommending to ask your customer for their phone number? They’re meant to be calling you, right? 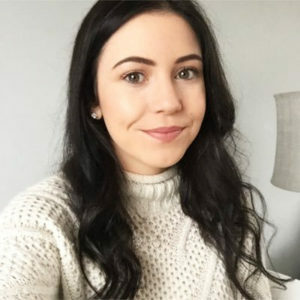 BOOM Marketing Hungary‘s David Balogh has a “psychological trick” to encourage more inbound calls–and it starts with collecting the phone numbers of your hot leads. …So, what does David’s team do with the phone numbers they’ve collected? “After someone submits the form we have a manual pre-check to segment the prospect based on their company. We then determine how could we help them, and send them an email with a meeting link, so they can book the time for the call,” he explains. Are Funnels Still the Right Way to Measure Your Sales and Marketing? Learn how to using cyclones to grow revenue from 9 top-tier sales & marketing experts (& me).